Mother’s Day is right around the corner can you believe it? It feels like just a few weeks ago I was buying Christmas presents! Mother’s Day is one of those fun holidays that doesn’t require a whole bunch of planning and prep but is still a great time to spend with family and let your mom know how much you appreciate her! My daughter is one of those kids that is always telling me how much she loves me, and how wonderful I am (how lucky am I right?). 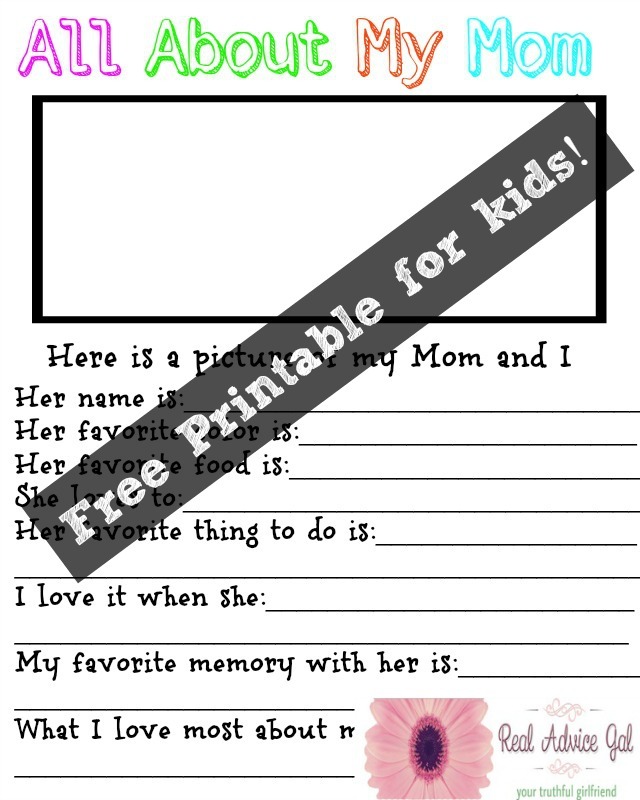 So she helped me create a fun Free Mothers Day Printable For kids that you can print and have your kids fill out for the mom in your life! 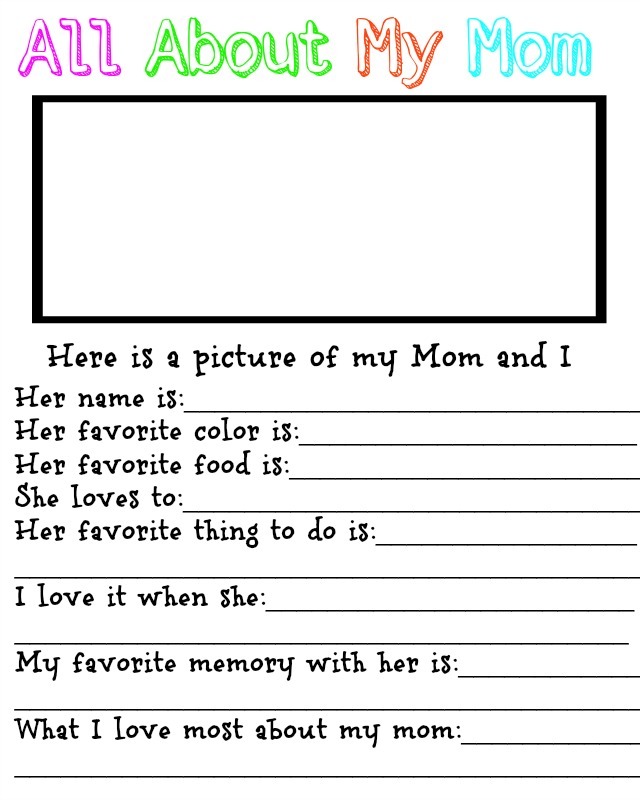 My daughter came up with all the questions to add to the printable and she had the idea to put a picture (or have your kids draw one!) for the top. This would make such a cute keepsake wouldn’t it!? It’s the little things that make me happy. 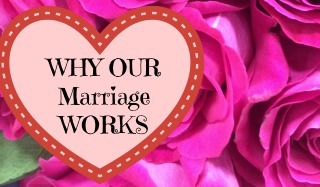 Give a mom this and breakfast in bed and I bet she will have the best Mother’s Day ever! What was the best Mother’s Day gift you have even given or received?